Welcome To The ‘Sunny Summer Memories’ Giveaway, where one person will receive $100 to Del Sol, home of color-changing clothing and accessories! and Accessories turn brighter and more colorful when you go outside! Summer memories are really only a step away! 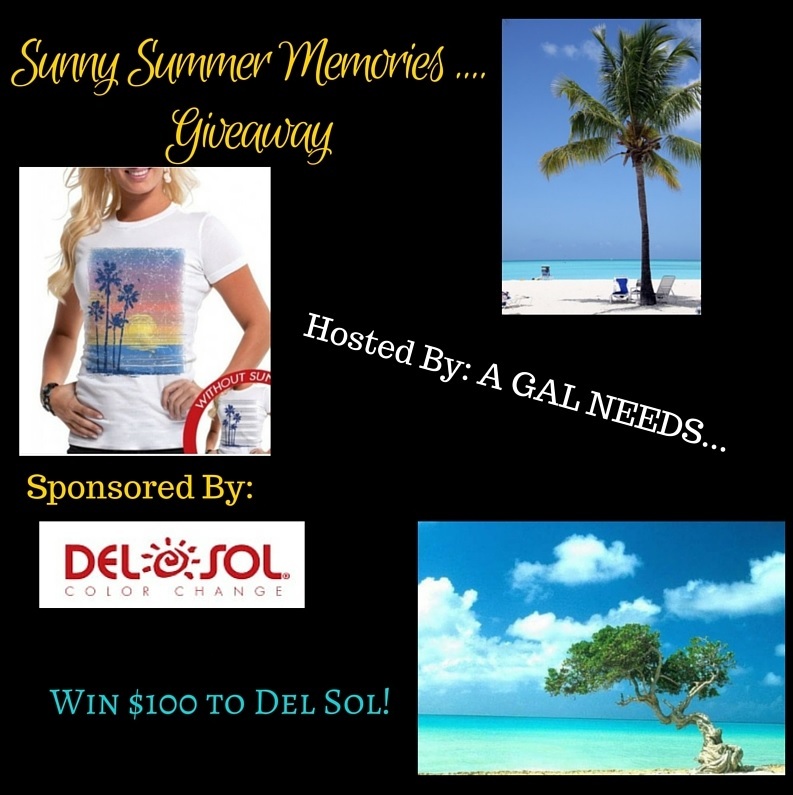 winner will receive a $100 eGift Code to Del Sol! below! Giveaway runs from 11/2/15 – 11/18/15. Good luck! One thing I would buy Is the Maleficent – Long Sleeve Raglan. Also some sunglasses and nail polish and probably more clothes. ANother Day in Paradise women’s t-shirt is nice! Things I would love from del sol are: nail polish appliques, in chevron and stripes. And the captain america suit kids tshirt! 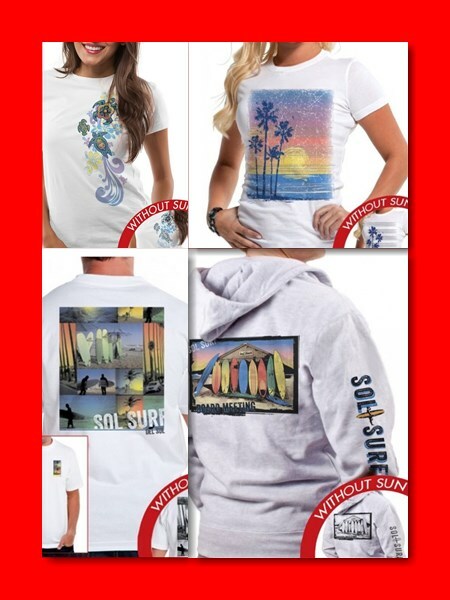 I would like to get the Hooded zip sweatshirt-surf shack. I would get several of them. I like the Men’s Classic Crew T – Tales of the Sea. I would like the Women’s Classic Crew T – Deep Blue. I would get a couple t-shirts, a pair of sunglasses and maybe a necklace or two. I would try some color change nail polish! I’d get the Tribal Turtles t-shirt, love the colors! So pretty! I’d get 4 of the Women’s Classic Crew T shirts in Deep Blue. Just beautiful!